Our interview with gorgeous Wilhelmina UKmodel Ayesha Perry-Iqbal. Ayesha is a Welsh Native and currently residing in sunny Los Angeles. 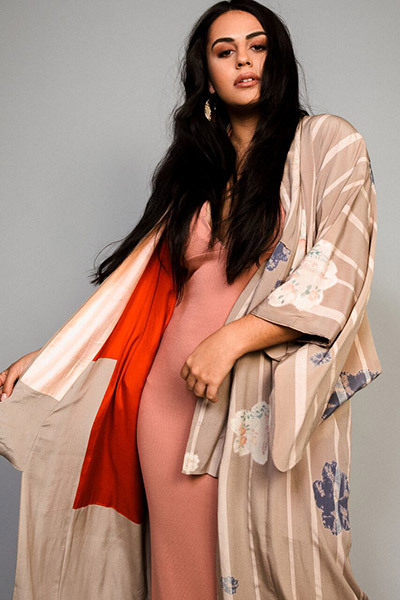 Being the only Pakistani Plus model in the US presently, Ayesha has used her platforms in modeling, acting and social media to empower and encourage women to embrace their bodies at any size, color or shape. 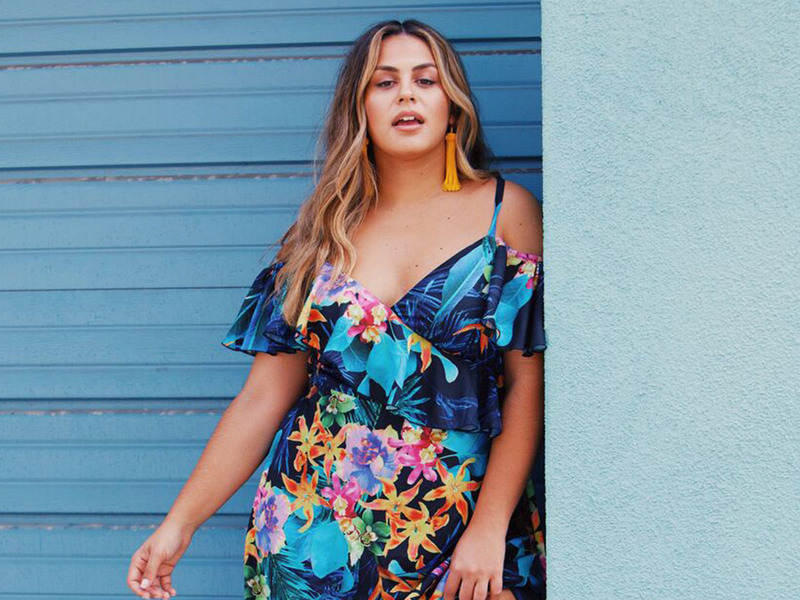 Having faced many obstacles and challenges during her journey, Ayesha has decided to start her blog for women to talk about relatable topics, current affairs, travel and fashion Inspo. 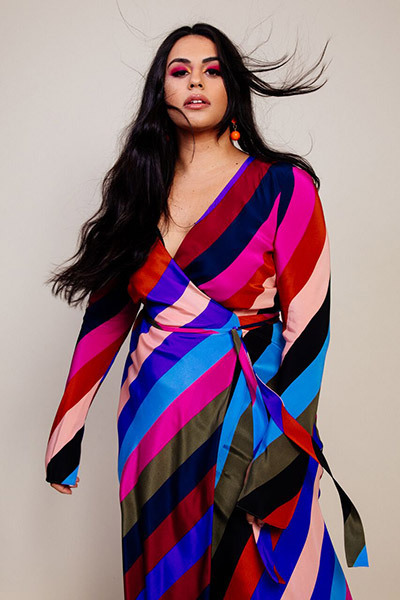 Ayesha has worked with top brands such as FASHION NOVA, PRETTY LITTLE THING, BOOHOO, FASHION TO FIGURE, ME UNDIES, SAVAGE X, FENTY , FENTY BEAUTY , SWIMSUITS FOR ALL, FOREVER 21 to name a few. My role model has always been my mum. She taught me all about fashion, life and encouraged me to always stand up for what I believe in. I love to start my day and end it listening to music. In the morning I love fun and happy music and then in the evenings I go for some slow jams. I started modeling professionally 2 1/2 years ago. Growing up I didn’t aspire to become a model, but instead be in the entertainment industry acting and doing theatre. Then one evening I went for dinner with some girlfriends who were all plus models and they kept encouraging me to try modeling as well. So the next day my friend took my digitals and sent them out to agents and I got signed. That was when I really believed I could do it and decided to give it a real shot, especially because there are no other Pakistani curve models in the US. I wanted to represent for us. Modeling has given me a platform in which I have been able to use to inspire and speak out for women. It has put me in touch with other strong, intelligent and empowered women who also want to make a difference. And it has enabled me to travel all over the world which I am forever grateful for. I am so excited about the release of this project. I cant say to much at the moment, but lets just say, we are challenging societies image of ‘beautiful’ and changing peoples lives by showing them how to love their bodies just the way they are. To have the opportunity to use my platform to encourage all women to accept and love themselves no matter how they look like. And also to inspire women to go for their dreams no matter what their background, ethnicity or size and shape. When I’m on set, the most important thing is to have fun with it! Being yourself st work is the best thing one can do. For all the new models or for those who are contemplating getting into modeling, make sure its something you really want to do and don’t give up! Get your digitals and make sure you go out and work with different photographers and expand your portfolio. And ultimately the best thing I can share it to just be you unapologetically. I’m so grateful to be surrounded by so many wonderful women that many models have inspired me. Some of the FAVORITE designers are Jeremy Scott and Rhianna. Both are doing great things in the industry, from creating fun fashion looks to taking risks with diversity on the runway. Growing up I never had a beauty inspiration because the beauty and fashion industry never had women that looked like me or were relatable. And now I feel that the beauty industry is expanding by using more diverse women that are relatable. Today, Deepica Mutyala, founder of TINTED, promotes awareness for ethnically diverse women in the industry. And that’s what I strive to do and support as well. I’m fashionably unfashionable because my style depends on my mood. Yet, I cannot live without a nice pair of golden-hooped earrings, a fanny pack and a nice fitted pair of jeans. The stupidest thing that I can remember is that I once put a glass dish in the microwave and it exploded. Every day is different, from shooting to castings to meetings and traveling – but I always have to make sure that I have an outfit that goes with my day, have breakfast, because you still have to live a happy healthy lifestyle, squeeze work out and answer my emails. Three words: Church, brunch and chilling. I’d love to have brunch with Gloria Allred because she is boss women that I respect, as well as all she does. I support all charities that aid women that have gone through domestic violence. Three things I can’t live without are: ice cream, facial wipes and Uber/Lyft. I see myself being happy, healthy and making significant changes for women in the fashion and entertainment industry. The music that I like is a mix of Eclectic, Hip Hop, Musical Theater, Dancehall and Grime. I think social media is great if used for positive influence. It gives you a platform to speak out and make a difference and to touch many peoples lives all over the world. It can also be extremely negative and cause you to question your life your looks, your happiness and your relationships that can result in mental breakdown. Don’t let social media distract you form living in the present.